…over at the Auteurs’ Notebook. The New Forgotten is on the line. Jack Clayton + Muriel Spark + Maggie Smith + a thousand years of acting talent! 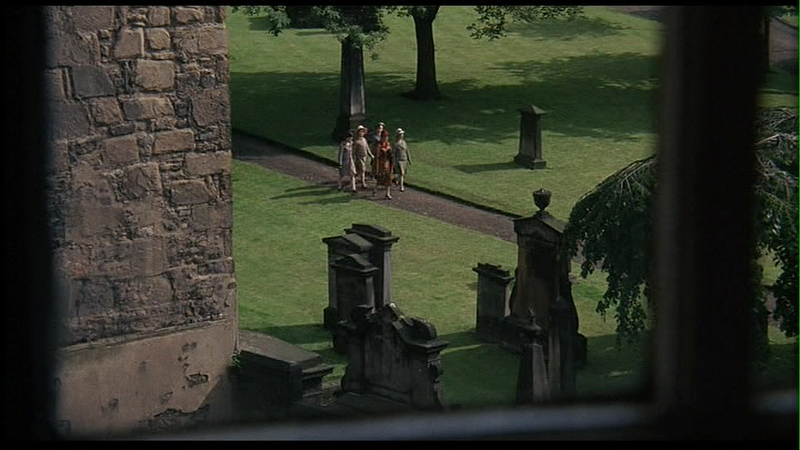 Miss Jean Brodie and her girls are spied upon by Robert Stephens from his artist’s garrett as they walk through Greyfriars Churchyard. 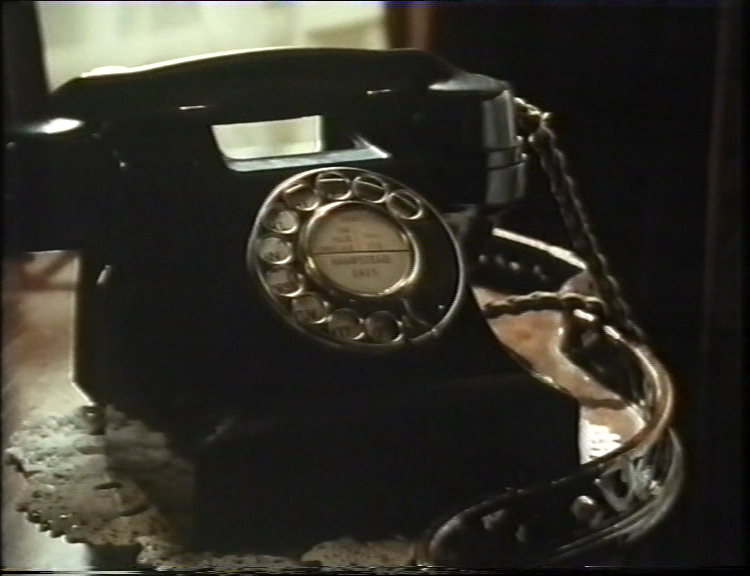 This is a key location in all versions of GREYFRIARS BOBBY (where the wee dug sits by his master’s grave) and also in Val Lewton and Robert Wise’s film THE BODY SNATCHER, which conflates the Burke and Hare story (as filtered through Robert Louis Stevenson’s fictionalization) with that of Bobby, who is disguised under the stage name Robbie. 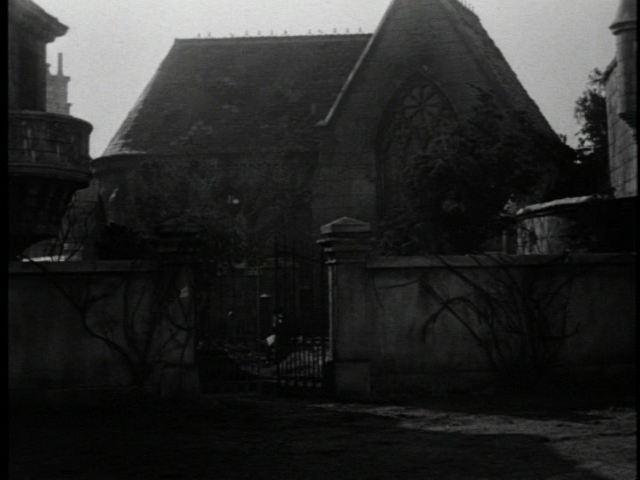 The low-budget Lewton makes do with an establishing shot of some other church and then plunges into the studio. The real churchyard (or kirkyard, if you want to be sectarian about it) is quite a place, although difficult to capture on film — the real frissons come from extreme details of the weathered stonework, angels and deathsheads with their features eaten away by wind and rain. But it’s also a useful place because you can look in all directions without much chance of seeing anything too modern. Fiona and I used to live on Forrest Road, overlooking the cemetery just like Robert Stephens, although I starved one flight up, rather than in a garrett. Trilby, Fiona’s then cat, and my current avatar, once escaped out the window, over another rooftop, and into the hallowed grounds. She returned unharmed the next day, which was a relief, since she was a housecat unused to the ways of the exterior. I don’t know what she’d have done if she’d met Greyfriars Bobby’s ghost — and remember, according to the ancient Egyptians (generally reliable) cats can see the spirits of the departed. You know when you catch your cat staring fixedly at nothing…? A strange feature of the place, just about visible above, is the way some of the grave markers are actually built into the walls of residences surrounding the graveyard. Also, many of the graves are enclosed in little stone buildings with gates that lock, which is largely a protection against body-snatchers. St John’s Churchyard, a short distance away on the corner of Princes Street and Lothian Road, even has a watch-tower to allow a guard to keep an eye out for nocturnal speculators armed with shovels. 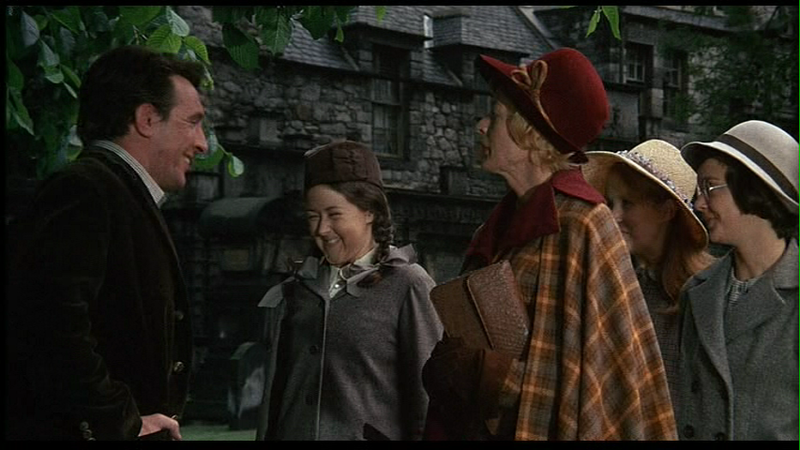 The cemetery was used again in BURKE AND HARE: THE MUSICAL, a film I wrote sometime in the last century. Had Burke and Hare ever actually engaged in graverobbing (which is unknown — they were arrested for mass murder, having followed the simpler practice of generating fresh corpses rather than harvesting them from the earth), Greyfriars would probably have been their local place of work. We were allowed to plant little wooden crosses so we could pretend to dig up a fresh grave. The cemetery is apparently full of unmarked graves, including that of William McGonagall, the world’s worst poet (an influence on both WC Fields and Spike Milligan). It seems likely the grounds may have once been peppered with pauper’s markers. To fake the grave-robbery, a fake mound of earth was erected — no hole was actually dug. The corpse here is played by Simon Vickery, a talented cameraman.